Pfizer, the world's largest drugmaker, saw revenue decline roughly 6% in 2013 as sales for drugs such as Lipitor continue to fall. However, the company's oncology unit was a bright spot, led by increased adoption of new cancer drugs. Net income fell nearly 60% to $2.6 billion in the fourth quarter, compared with $6.3 billion in the same quarter a year ago. Net income for 2013 rose 51% to $22 billion compared with about $14.5 billion in 2012. Worldwide oncology revenue rose 23% to $1.6 billion in 2013, compared with $1.3 billion in 2012. 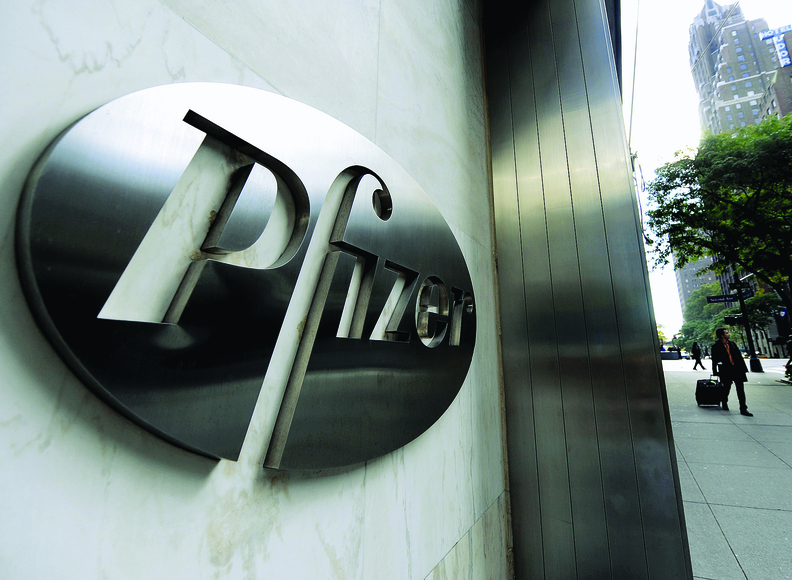 Pfizer CEO Ian Read attributed the oncology unit's growth to “solid uptake of new products” including Inlyta, which treats advanced kidney cancer, and Xalkori, a drug used in the treatment of advanced or metastatic non-small cell lung cancer. Sales of Xalkori jumped 134% to $282 million in 2013, with about half of sales coming from the U.S. market. Inlyta and Xalkori are both examples of new drugs that have come to market in the last two years with hefty price tags. They both cost about $9,000 or more a month. Celebrex, Eliquis and Xeljanz were other drivers of sales growth in the U.S. Worldwide sales of Lyrica, its top-selling drug, a pain medication, rose roughly 12% to $4.6 billion in 2013, compared with $4.1 billion in 2012, Pfizer reported. Lyrica sales rose 17% in the U.S. last year. Total revenue fell to $51.6 billion in 2013, compared with $54.6 billion in 2012. Pfizer reported. The company attributed declines in full-year revenue to lower utilization of brand-name Lipitor, once the world's top selling drug, since generic versions have become available in the U.S. It also cited decreased government purchases of Enbrel in some emerging markets. Lipitor brought in $2.3 billion in sales in 2013, down 40% from 2012. Sales in both the primary-care and specialty-care units were down in the fourth quarter and in 2013. Primary-care drug sales fell 13% for the year, due in part to losses of product exclusivity in different worldwide markets, while specialty care drug sales went down 4% in 2013. Pfizer sold its nutrition business to Nestle in 2012 and the company in mid-2013 spun off its animal health business unit, which is now called Zoetis. It also last year announced a company restructuring that would separate its commercial operations into three business segments, each including developed and emerging markets.